Here at Christmas time we’re all searching for that perfect present to give to someone special in our lives. But sometimes, the things that mean the most to you are not on a Christmas list. It’s the things that touch your heart that truly show the love that is Christmas. I have to confess to you, I love to make people cry. My best friend is a crier. In fact, she carries a sponge and a bucket instead of tissues!  A few years ago she had blessed me with her testimony and really blown me away. Friends, this life story should be a book for all young girls to read. It impressed me to know that God had brought her through so many storms. For Christmas that year, I gave her a journal. Inside it I wrote the preface to her life story for her, in hopes that she’d complete it within the journal for her daughters and grandchildren. When she got it, of course, she cried like a baby! It truly touched her heart. She cried because I’d taken the time to know her, love her, and to understand her heart. When Jesus was born, three wise men traveled from the east to see him. They came to Herod and said, “Where is He who has been born King of the Jews? For we have seen His star in the East and have come to worship Him.” The fact that they called the star “His star” and that they already knew he was born “King of the Jews” says they had foreknowledge of Jesus, the Messiah, being born. Their purpose in locating Him was simple – they wanted to worship Him. They came to bow before Him and adore Him. How blessed all of our Christmas times would be if we first stopped to adore Him! But they didn’t stop at offering Him their love in a silent manner. 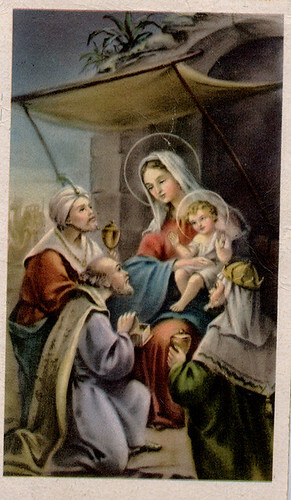 They proved it by the gifts they brought: gold, frankincense, and myrrh. These gifts are significant in that they proved their faith in Jesus as the Messiah, and they knew whom they were worshipping. Gold was a gift given to Kings. Jesus would become King of Kings. Frankincense was an offering made in temples to God. Jesus is the Son of God. Myrrh was used to anoint a body for burial. Were it not for Jesus’ death and burial, His birth would have been unnecessary. How Jesus must have loved the thoughtfulness behind those gifts! How perfect they were, because they were given from the hearts of those that truly knew Him. This Christmas, seek to do more than check a friend off your Christmas list. Seek to bless them through your love, for that is the true meaning of Christmas.